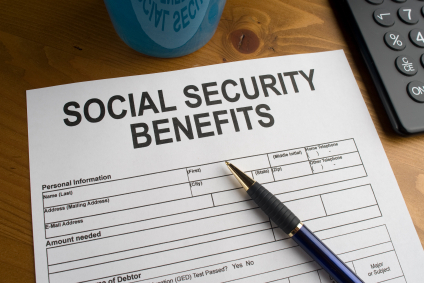 Social security benefits are a valuable asset for every Baby Boomer. When combined with retirement savings, social security makes it possible to pay for medical expenses, housing, food and other essentials. It also allows recipients to travel, enjoy family time and generally make the most of their retirement. Unfortunately, the Social Security Administration does not exactly make it easy for people to figure out the best ways to access and use their benefits. The administration has established nearly 3000 rules to govern the system, which makes knowledge of these facts crucial to understanding your benefits . Boomers born between 1943 and 1954 can claim full benefits at age 66. However, boomers born between 1955 and 1959 must wait until they are at least 66 and then an additional two months for each year beyond 1954. Sixty-seven is the full retirement age for anyone born 1960 or later. A person who is at or over full retirement age and is receiving benefits can choose to suspend these benefits for a time. It means foregoing checks for the suspension period, but it means being able to collect much heftier benefits from the time the benefits resume until the individual's death. Delaying your retirement is a fantastic way to ensure that you maximize your benefits. If you continue working into your sixties, you may also ensure bigger payments for your spouse or qualifying child. The Social Security Administration does not impose a limit on how much of your income can factor into your benefits. However, it's important to be aware that there may be income tax implications and a reduction of benefits if you continue to work and are taking Social Security benefits. If you will be working, it may make sense to delay taking benefits. If your disability has been documented and your employer has tried all reasonable attempts to employ you in a productive capacity, you may want to consider applying for disability retirement. If you choose to do so, it is important that you seek legal--counsel for your application and any subsequent appeals. According to Watertown Social Security Lawyer Donald Chewning , Social Security disability hearings can be very dynamic, involving interaction the between the attorney , client, and judge. For this reason, you should have an experienced attorney on your side to provide you counsel during this complex process. People who have children later in life are sometimes surprised to learn that their children are eligible for Social Security benefits. Children are eligible for benefits through the age of 17, or 19 in certain circumstances, as long as one of their parents is receiving retirement benefits. Social security benefits are an important part of the financial strategy of any baby boomer as they make it possible to maintain your lifestyle. The more you understand about your eligibility and benefits, the better prepared you'll be to actually enjoy your retirement years.